Finally, Writing Through Modern History Level 1! Covering 1850 to modern times. 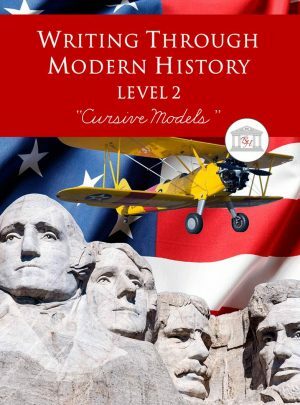 An elementary writing curriculum, teaching writing while covering modern history. 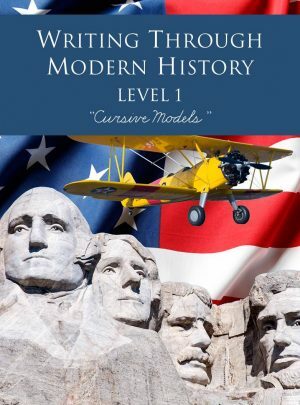 Featuring narrations, summations, cursive copywork, and studied dictation. New Name, and Cover. Same awesome writing curriculum!